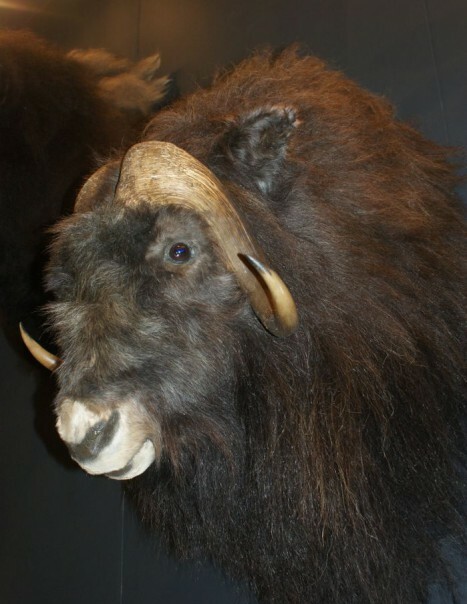 The muskox is a mammal of a particular kind that seems to belong to a species of another time. Its thick shaggy coat related to a fur is called by the Eskimos, Omingmak itwhich means “animal with fur like the beard”. This protection gives it a high resistance to the most extreme cold even though it is less effective in contact with water. 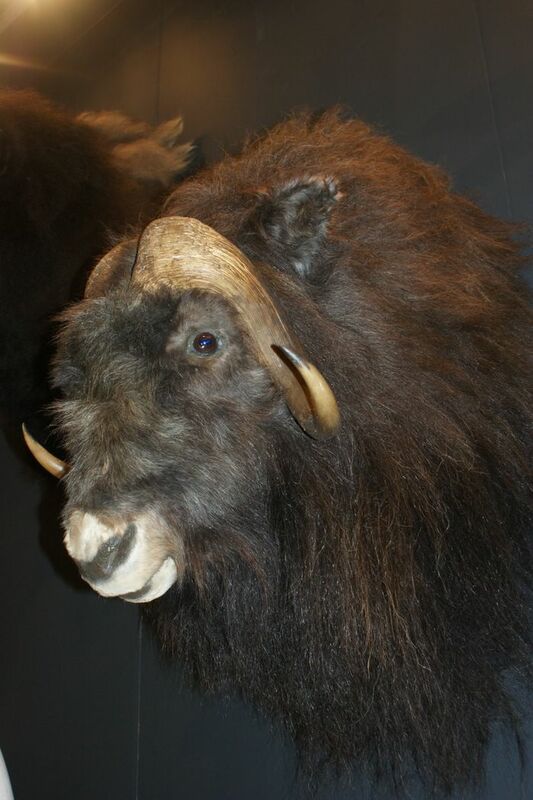 Despite its popularized name, Muskox does not belong to the family of cattle. It is a goat and ruminant herbivore that lives in groups in the tundra of the Arctic regions of Canada, Greenland, Scandinavia and Russia. To deal with possible extinction, recounted in the mid 20th century, a reintroduction was conducted and helps to identify today more than 100.000 individuals. The sustainability of the race seems saved. The Muskox is a colossus over 350 kg for the male, a hundred less for the female. 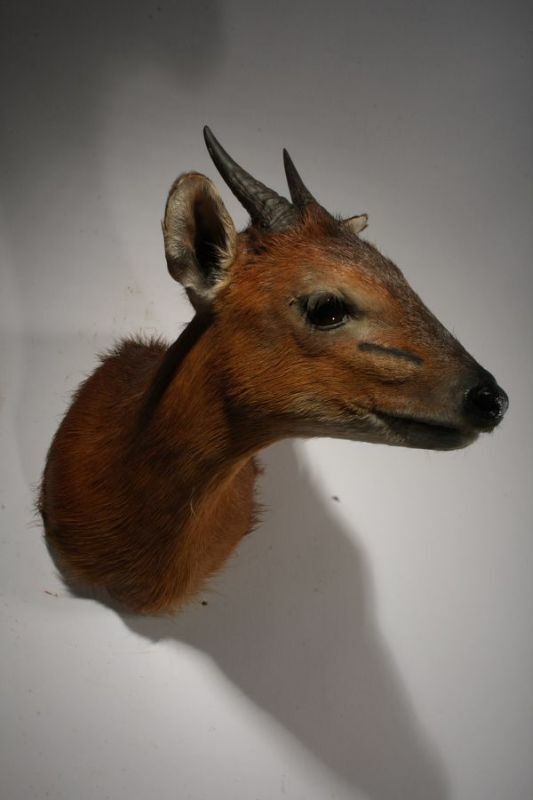 If its drooping fur characterizes, powerful horns are all the major feature of its personality. Curved horns attached to their base to the male but separated by a peel strip for the female. Its horns show a formidable force and are central rivalries expressed during the mating season. The males then objected, arguing instead head horde at impressive fights. They run against each other and collide head against head. The power displayed at this time, the increased shock and suffered, is equivalent to that of a car driving at 45 km/h against a wall! The two rivals repeat the operation until one of them admits defeat. Associated with this period of supremacy in love, the male has a strong musky odor that is worth its name. Females give birth to a single pup. They have a gestation period of 8 and a half months. It eats grass and plants it picks scraping snow. Snow is used to hydrate. Finally, despite a hostile environment dictated by the arctic cold, but also by human hunting or white wolves attacks, muskox has a life expectancy of 20 to 25 years.